Their foot-tapping music and charming personalities continue to draw a crowd and gain encouraging fans with each new place they visit. ShadowGrass is looking forward to contributing to the heritage of bluegrass music for years to come. 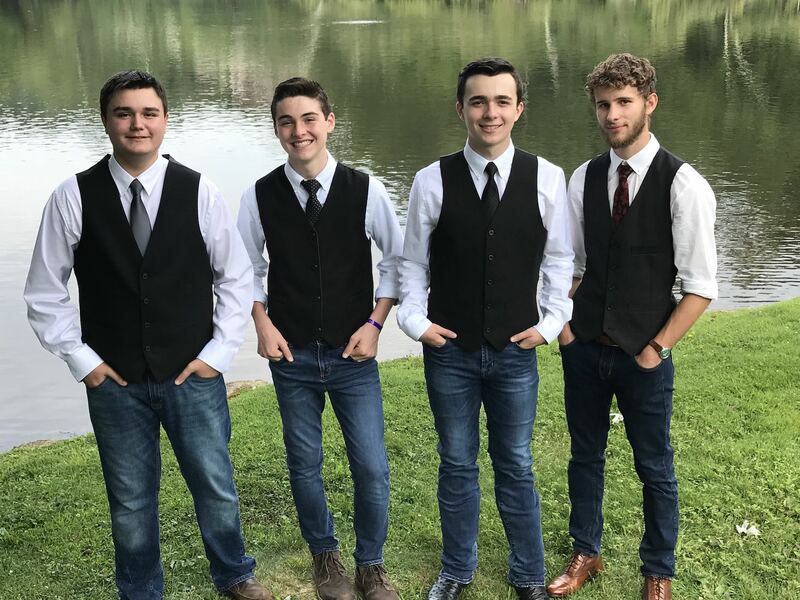 "one of the most thrilling bluegrass bands to emerge from the musically-rich Crooked Road area in recent memory"
Clay is eighteen years old and has lived in Grayson County, Virginia his entire life. He received his first banjo when he was four years old and learned to pick out song melodies using his thumb. At around age ten, he began using the three finger method. A few years later he started entering local competitions and collaborated to help form the band ShadowGrass. Clay will be the first to admit his favorite part of any festival or competition is getting to meet and pick with other musicians, many of which have become great friends. 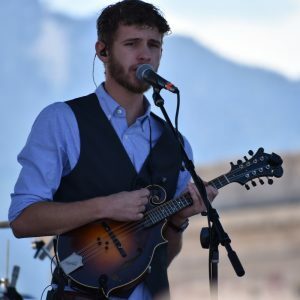 Clay’s musical influences include Earl Scruggs, Jim Mills, J.D Crowe, Sammy Shelor and Ron Stewart as well as his instructor Eric Hardin. 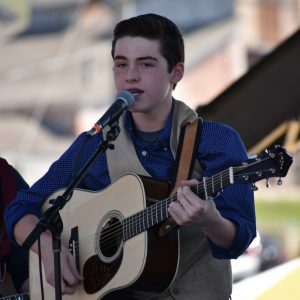 Clay has had the opportunity to play venues including the IBMA Convention, SPBGMA, Richmond Folk Festival, MerleFest, Woodsongs, Song of the Mountains, Blue Ridge Music Center, Star Theatre, Rex Theatre, Heartwood Center, WPAQ’s Merry-Go-Round, WBRF’s Blue Ridge Backroads Show, live TV performances on WSLS, WKYT and WCYB, WAMU’s Katy Daley Show, Blue Ridge Acoustic Uprising, HoustonFest, RockyFest and WVTF’s Back to the Blue Ridge Show. Clay is a member of IBMA’s Kid’s On Bluegrass and Tomorrow’s Bluegrass Stars. He is also a member of Brookside Baptist Church and enjoys hunting, camping and riding his four-wheeler in his spare time. Howbeit there are no immediate plans for the future, there’s no question that playing bluegrass music will in one aspect or another, always play a part in Clay’s life. 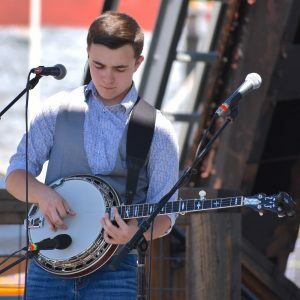 Sitting in on his father’s band practices from the week his parents brought him home from the hospital, Kyser George, age 14, of Westfield, North Carolina, grew up steeped in the musical heritage of Stokes County. Kyser received his first instrument, a mandolin, at the age of 6 and it quickly became evident that the rhythm section was Kyser’s niche. 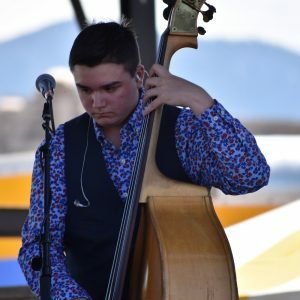 After receiving instruction from his father, David George, Kyser discovered his love of bass at age 9 and is already considered one of the most solid bass players in the area. In addition to playing bass, Kyser enjoys playing guitar and mandolin and is the drummer and percussionist for his church. When he isn’t playing music, Kyser enjoys fishing, camping and shooting sports.